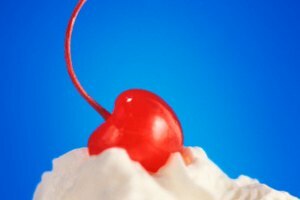 Clotted cream, creme fraiche and mascarpone are condiments that typically accompany desserts and some savory dishes. Aside from the foods they complement, these creams differ in how they are manufactured. Clotted cream is an uncultured cream, whereas creme fraiche and mascarpone have had bacterial cultures or a thickener added to help create their signature textures and tastes. 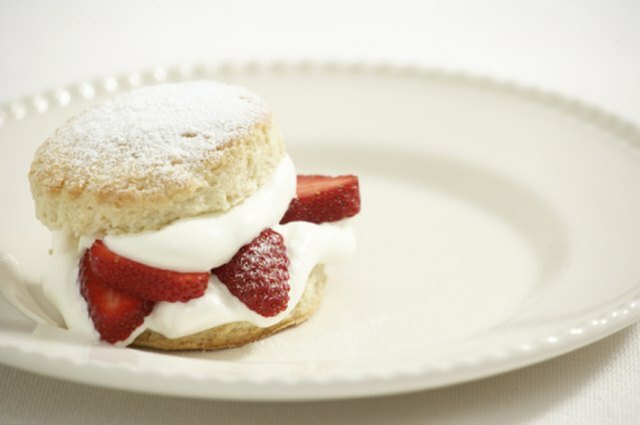 Clotted cream, creme fraiche and mascarpone also originated in different countries. Clotted cream, also called Devonshire cream, is made by heating unpasteurized milk until a layer of cream forms on the surface. The mixture is then cooled, and the cream skimmed off. It has a butterfat content between 55 percent and 63 percent. Unlike creme fraiche it is not a cultured milk product, and is typically eaten as a tea-time accompaniment to scones or bread. Clotted cream is also naturally thickened by the heating process, whereas tartaric acid (a thickening agent) is added to mascarpone to create a firmer, smoother texture. 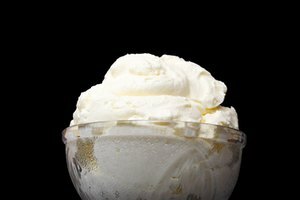 Creme fraiche is a cream cultured with bacteria. Unlike clotted cream, it is tart. Creme fraiche can be eaten as an accompaniment to savory foods and desserts. It has more versatile uses in cooking (unlike clotted cream and mascarpone) because creme fraiche does not curdle when boiled. For this reason it is added to sauces to thicken it and enrich it with a higher fat content. Creme fraiche typically contains 18 percent to 36 percent fat. 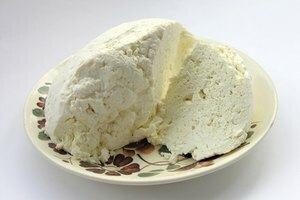 Mascarpone is classified as a curd cheese, unlike clotted cream and creme fraiche. The fat content in mascarpone is 25 percent. 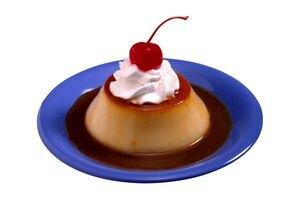 It is made by heating cream and adding tartaric acid to the mixture to further thicken it. The mixture is then cooled and strained, yielding the creamy-textured mascarpone. Mascarpone may be used as a dessert filling or as a thickener in savory sauces. 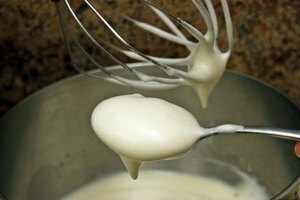 Some methods of mascarpone production call for initially culturing the cream prior to heating and mixing it with tartaric acid. Clotted cream, creme fraiche and mascarpone originated in England, France and Italy respectively. The amount of butterfat and the consistency of the cream is dependent on the quality of the milk in those particular regions, the types of cows and the kind of pasture they graze on. The culinary uses of clotted cream, creme fraiche and mascarpone have been molded by the cuisines of their native cultures. Clotted cream for example, is widely associated with English tea time snacks. .